Canada Day Celebrations on Gabriola! 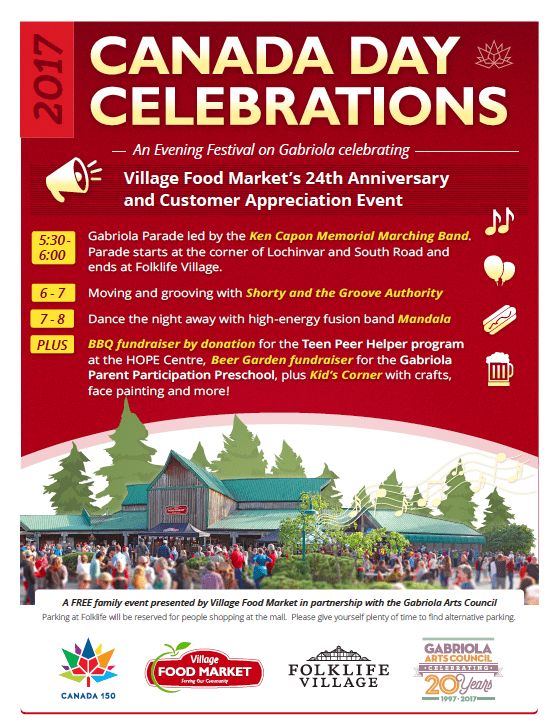 The Gabriola Arts Council is happy to be partnering with the Village Food Market to make the Canada Day event one to remember! Parade! Music! BBQ by donation! Kids Corner! Cash bar! Fun times to be had! And check out the little Shaw TV feature! Thank you to the Department of Canadian Heritage for supporting this event.